Edinburgh based boutique Spirits Company Wemyss Malts is today delighted to announce the release of a new parcel of single cask Scotch whiskies. This mouth-watering collection of new whiskies is named after the unique natural taste and aroma of each one and reflects the unique and contrasting appeals of the different Scotch whisky regions and styles. Each cask has been selected and named by the Wemyss tasting panel, under the watchful eye of industry aficionado Charlie Maclean. Vintage Strawberry Punnet - 1988 single cask from Invergordon. Sweet Peat Posy - 1987 single cask from Bowmore. Aniseed Pastille - 1996 single cask from Bowmore. Thread of Smoke - 1991 single cask from Bunnahabhain. Smoke on the Water - 1982 single cask from Caol Ila. Floral Trellis - 1988 single cask from Tormore. In a Bluebell Wood - 1995 single cask from Glen Grant. Summer Fruit Cup - 1998 single cask from Auchentoshan. Cayenne Cocoa Bean - 1997 single cask from ClynelisH. Bench with a Sea View - 1997 single cask from Clynelish. Peaches and Cream - 1989 single cask from Glen Garioch. Blackcurrant Coulis - 1991 single cask from Blair Athol. 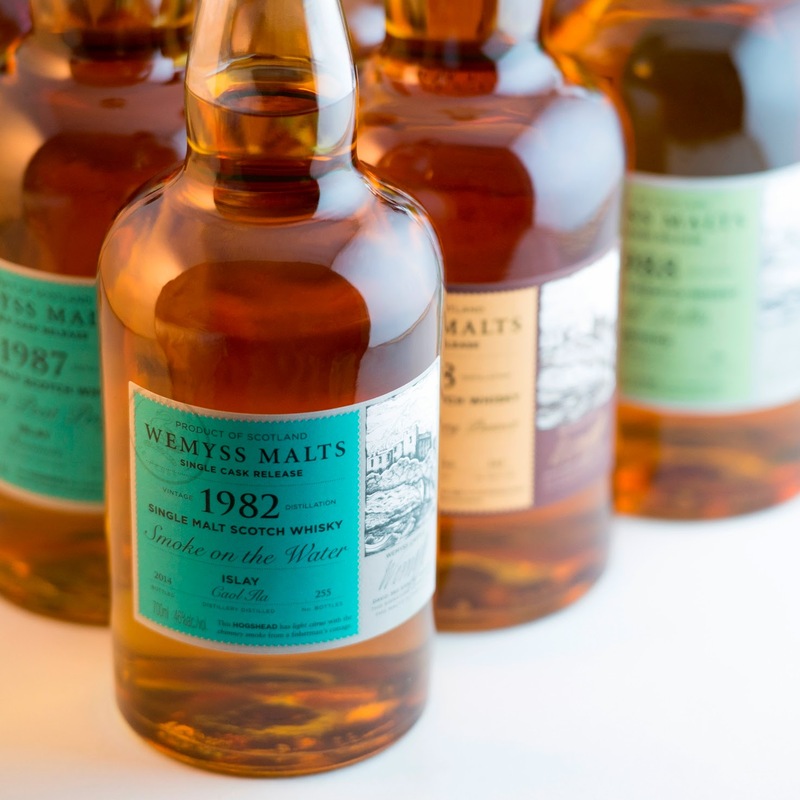 Commenting on their latest batch of releases, William Wemyss, Founder and Managing Director at Wemyss Malts, said: “We continue to source and select some truly memorable single casks for our range. This time we've chosen single casks from some of the most popular distilleries and are excited to include our second single grain whisky from Invergordon and some rarer older whiskies. In fact, the combined age of the whiskies this release is 261 years!" There are only a few hundred bottles from each cask and recommended retail prices range from £70 to £200. These bottlings will be available in selected specialist retailers in the UK, EU and key Asian markets.